By Joe Gorman | June 12, 2018 at 12:00a.m. Police said Monday the shooting death of a North Side woman whose 3-month-old grandson was murdered in 2003 was not a random act. Lt. Doug Bobovnyik of the Detective Bureau said detectives believe Diane Dent, 62, was shot by someone about 1:30 p.m. Sunday in her Goleta Avenue home by a man who was looking for someone else. Dent was shot after she answered a knock at her front door, Bobovnyik said. Police are not releasing many details about the shooting, however. Dent’s death is the city’s fourth homicide of 2018. 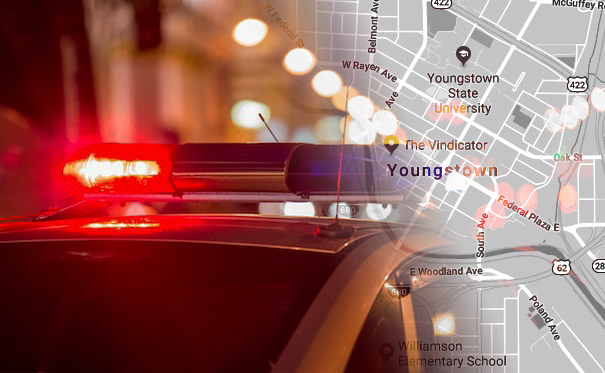 In 2017, Youngstown recorded 26 homicides and had seven at this point in 2017. Dent’s grandson, Jiyen Dent Jr., 3 months, was shot and killed in March 2003 as he swung in a baby swing in his parents Rutledge Drive home on the East Side. Police said John Drummond, now 40, shot up two Rutledge Drive homes with an AK-47. Drummond, a member of the Lincoln Knolls Crips gang, believed the occupant of one of the homes was involved in the shooting death of another gang member about five years earlier. Drummond was sentenced to death for his role in the killing. He is also serving a prison sentence for a murder in Ashtabula County. Police also are investigating the shooting of a man Saturday and found by police in a driveway on East Judson Avenue on the South Side. He was still in serious condition late Monday at St. Elizabeth Youngstown Hospital, Bobovnyik said. Bobovnyik said detectives believe the man was shot because of a dispute with a neighbor several hours later. Bobovnyik said detectives have some leads in that case and were interviewing witnesses Monday. Police on Sunday arrested two men in separate incidents while answering gunfire-sensor calls about 41/2 hours apart on the South Side. Jerbrail Grihm, 28, is in the Mahoning County jail on $6,500 bond after he was arraigned Monday in municipal court before Magistrate Anthony Sertick on charges of possession of cocaine and obstructing official business. Police were called about 9:40 p.m. to the first block of East Avondale Avenue to investigate a gunfire-sensor call, reports said. Officers saw a car back out of the driveway of a vacant house, and the driver, who police said was Grihm, jumped out and ran away. Police caught him after a short chase and found two bags of suspected marijuana, a bag of suspected cocaine and $132 cash he threw on the ground in front of him while he was running, reports said. Earlier, about 4:35 p.m., reports said a man being chased by police answering another call for shots fired jumped out of a running car and later fell into the arms of officers waiting for him below a window. Dai’ryon Mitchell, 21, of Cassius Street, is in jail on a charge of failure to comply and several warrants from municipal court. Sertick set his bond at $22,500 at his Monday arraignment. Police answering a gunshot-sensor call about 4:35 p.m. on West Princeton Avenue where 16 rounds were recorded saw an SUV Mitchell was driving speed away from the area. Police followed him inside and saw Mitchell clinging to a window ledge, reports said. He tried to go back inside to escape when he saw two police officers waiting under the window. Mitchell lost his grip, however, and fell into the arms of the officers below, who handcuffed him after a brief struggle, reports said. June 11, 2018 11:18 a.m.